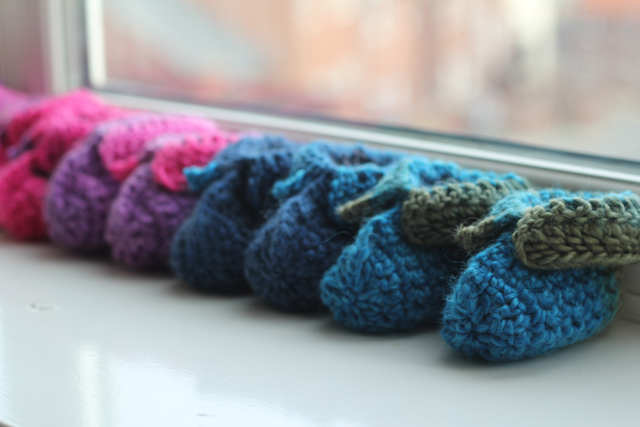 Well, most of the crochet I made last week was baby booties. 7 of them! 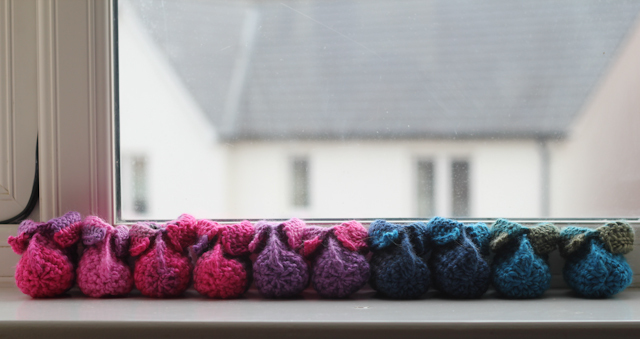 The pattern is super easy and can be found in DIY Maven blog. I used 5mm crochet hook and some aran weight wool (I'm not shure about this, the yarn is some strange one, bought from China; at least it looks more like aran then like DK). I just changed to little things. 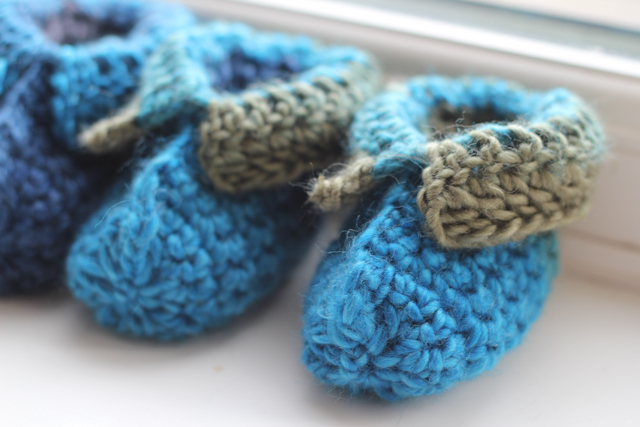 First of all instead of joining heel part with sc row I just sew that together, because I thought of how baby will probably feel the seam with his tiny feet. And the second thing was two dc instead of one in the corners of the bootie upper part. This way the corners have more triangle shape. I really enjoued working with this pattern and I hope that little triplets (2 boys and a girl) and another little girl will enjou wearing them aswell. 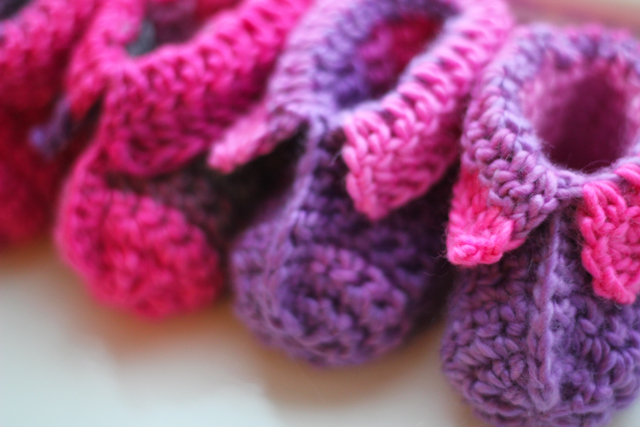 And after finishing this booties I accidently discovered one more nice and easy pattern that would be good for girls. I should try it next time someone I know has a baby.